It's Steve's fault. Steve McCormack's, that is. In the wake of my Cerious/Indra/Varial comparative review, he contacted me by e-mail. Besides manning the hot seat of Conrad Johnson's McCormack Audio division, Steve also does business under SMcAudio where he services and modifies his older pre-CJ products. Modifying to various levels allows him freedom to experiment, something production models don't allow. Once signed off on, those are permanent - especially with a solid outfit like Conrad Johnson that doesn't believe in milking their customers for endless Mk2, 3 and 4 upgrades. 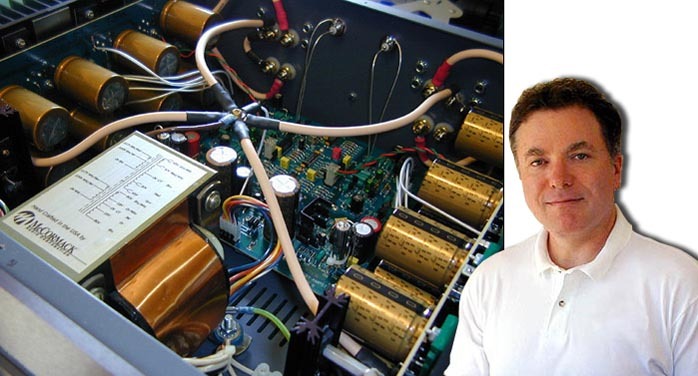 In his California workshop, Steve prepares new McCormack Audio products and refines his custom modifications. The latter have long since benefitted from Siltech's silver/gold and Van den Hul's Carbon conductors for flying leads to various circuit board junctures. In short, Steve's been hip to Carbon-based wiring for a long time. He is really enamored with its utterly grain-free organic sound although the electrical parameters of the VdH leads limit their use to specific lengths and areas of a circuit. 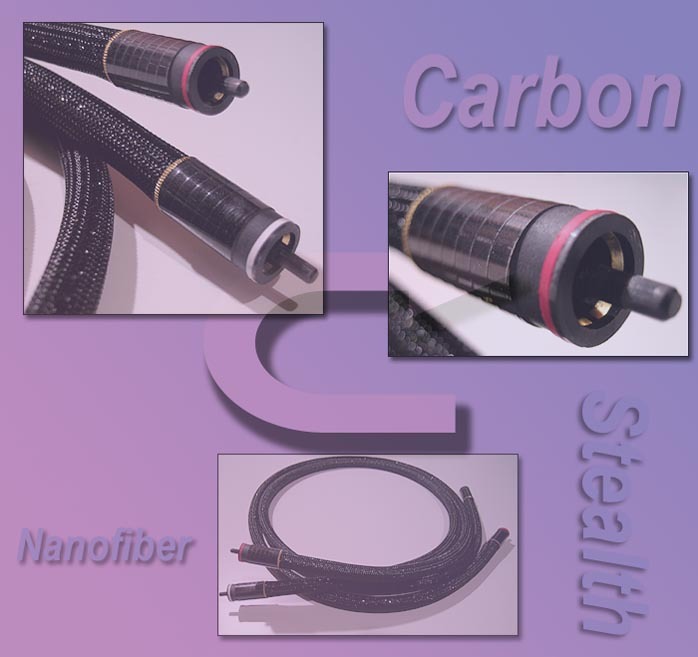 Having tested Serguei Timachev's Indra cable himself, Steve also was on the list as one of Serguei's beta-testers for the new Stealth NanoFiber and MetaCarbon models. Agreeing with my assessment of the Indra, Steve suggested that I really needed to give Serguei's new NanoFiber carbon fiber cable a listen. With Serguei's permission, he also forwarded me his notes to Serguei, the quid-pro-quo payback of all beta testers to Stealth Audio. They get to evaluate future models prior to official release and purchase them at favorable pricing if desired but, no matter what, owe the designer detailed descriptions of what they heard, what their cable comparators were etc. It's an informal data acquisition protocol for Timachev. It insures that a new design performs predictably and consistently in various systems, rooms and to various experienced and critical ears. Why author a new product if 15 out of 20 listeners proclaim it plainly inferior to a competitor or the final tally shows that the cable sounded completely different from system to system? Anyhow. Steve's ears are pretty legendary. His comments tugged on my sleeve. So I asked Serguei whether he'd send me one of his all-Carbon cables on short-term loan so I too could experience the sound of zero crystals in non-amorphous form. Confession time: formal cable reviews become dull real quick. Most writers sooner than later refuse such assignments as a matter of self preservation. Why? Because competently designed cables aiming for neutrality or high fidelity -- truthfulness to the signal -- sound far more alike than not. Unless someone, somewhere, approached things fundamentally different. Enter the NanoFiber. Insertion netted an immediately obvious result. To wit, it's a midrange monster. Very much like a direct-heated triode S.E.T. 's peculiar magic in the vocal range, this Carbon cable (incidentally dead quiet on my rig unlike the non-metallic Cerious equivalent) is extremely luscious, developed and expressive in this most important zone where the majority of musical information lives. I'm too busy for a formal review for quite a while so don't expect blow-by-blow descriptions yet. But when you come across something that's obviously different -- and if you're into this wacky audio stuff in the first place -- you want to let people know. This wire is different. And the difference isn't subtle but something you hear right away. The connector itself is custom as well and the actual conductor transitions seamlessly into the center pin. In case you have doubts about Carbon's suitability as an electrical conductor, consider that "Carbon conductors are used in original equipment ignition wires by most vehicle manufacturers and in the majority of stock replacement wires. 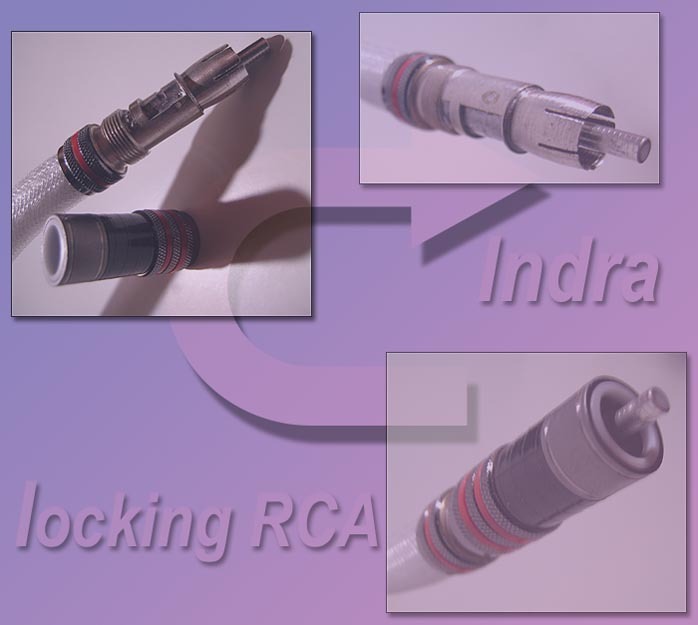 This style of ignition wire ... generally provides good suppression for both RFI (radio frequency interference) and EMI (electromagnetic interference). Conductors usually consists of a substrate of fiberglass and/or Kevlar over which high-resistance conductive latex or silicone is coated..." [from Magnecor.com]. As an aside, this type of automotive wire generally uses Carbon dust rather than fibers. Advancing the art in audio means exploring new territories, pioneering new circuits, new materials, new technologies. With so much rebranding and basic termination/sleeving happening in audio cables, it sure is refreshing to see a small-time manufacturer pursue the path less traveled. Not that we expect anything less from kulturnik Timachev by now. Incidentally and based on pesky reviewer feedback -- guilty as charged, your honor -- he felt compelled to fashion a new custom locking RCA for his flagship Indra. Even reviewers swapping components like mad can now be madly happy.